The majority of riding is done in overcast to partly sunny conditions, that's why the Grayne MTN Pyro lens is one of the best selling models on the market. Designed to bring out definition and provide crystalline clarity in those conditions, the MTN Pyro lens is both stylish and high performance! A spherical dual lens designed with 5x military grade anti-fog and sealed with Grayne's moisture-lock technology, it is the king of fog free riding. The lens also comes with UV treatment and is covered with an ultra-hardened anti-scratch layer of protection. 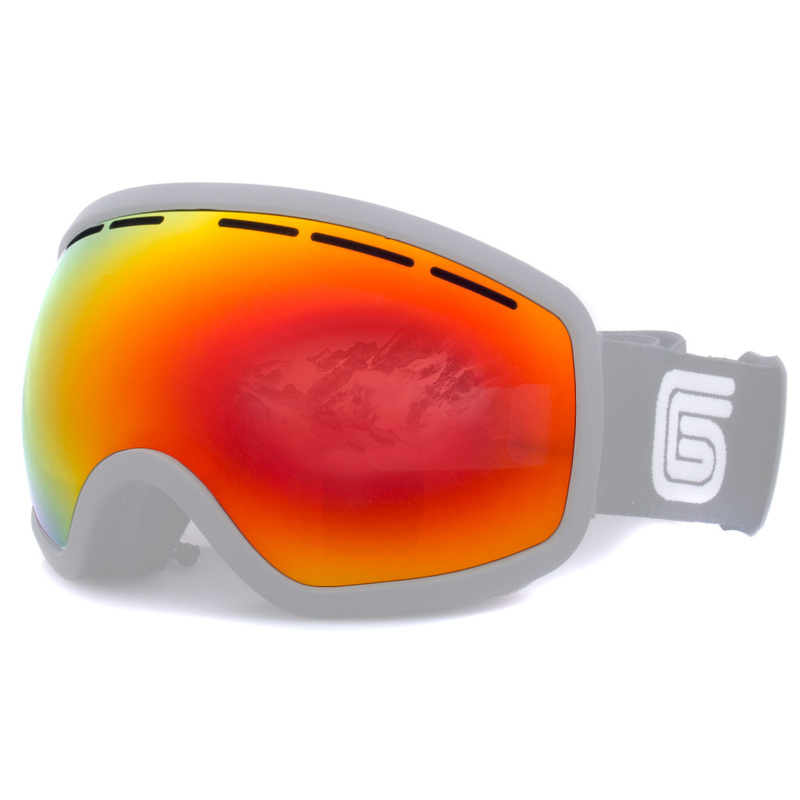 See the slopes better with the Grayne MTN Pyro lens!